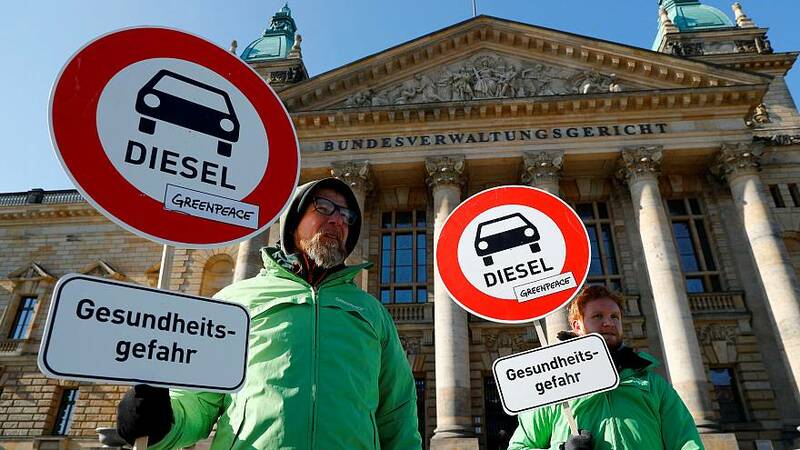 Germany finds diesel addiction "fix"
Leaders of Germany’s coalition parties have come to an agreement to fix the country’s diesel crisis after marathon talks late into the night. The government announced plans to offer a selection of options for those driving diesel cars which involve either the exchange of high-polluting models or retrofitting vehicles with emissions reducing hardware. The Bundestag has been under pressure to meet clean-air targets while also safeguard some 800,000 jobs reliant on its car industry. Leader of the SPD, Andrea Nahles, emerged visibly tired after 6 and a half hours from talks with her coalition partners, confident that “there is now an agreement – as for the details, we’ll leave that for now but it is a very pronounced complex agreement,” she promised. How will Germany clean urban air and who is going to cover the cost? Questions over what it takes to fix Germany’s diesel problem have been circulating for years. Actions already taken have included incentives to trade in older diesel models as well as changing software to reflect the genuine carbon emissions. Some cities such as Hamburg and Stuttgart had gone so far as partially introducing bans on diesel cars. Ahead of Monday’s talks environment minister Svenja Schulze said, “Retrofitting cars is the most efficient and fair way out of the diesel-crisis”. But the SPD party were keen that consumers would not face the burden of paying for hardware exchanges on their vehicles – with Schulze tweeting “The car-producers caused the problem – now they have to fix it” last week. Transport Minister Andreas Scheuer has also admitted he favoured incentives for drivers of older vehicles to trade them in for newer more efficient models. “My aim is also to ensure that the loss of value of used diesel cars is offset by carmakers,” he said – adding that, “carmakers who would either take them back or exchange them”. This plan of action is also favoured by automakers as it would solve the crisis by promoting the sale of more vehicles. Volkswagen, the country’s largest carmaker, has already agreed to cover €2400 of the €3000 it would cost to retro-fit diesel cars with cleaner hardware. It comes just three years after it emerged that the company had cheated vehicle emissions test results – widely viewed as the catalyst for the current diesel debate. However, Volkswagen has already expressed doubts about its ability to retrofit some older models with the hardware and said that it would not accept footing the bill if it would be liable for potential damage in the upgrades. Preliminary analysis in February of this year showed that over 60 cities across the country regularly exceed European targets for nitrogen dioxide air pollution. There are currently 8.8 million diesel cars on German roads out of a total of 46.5 million cars.